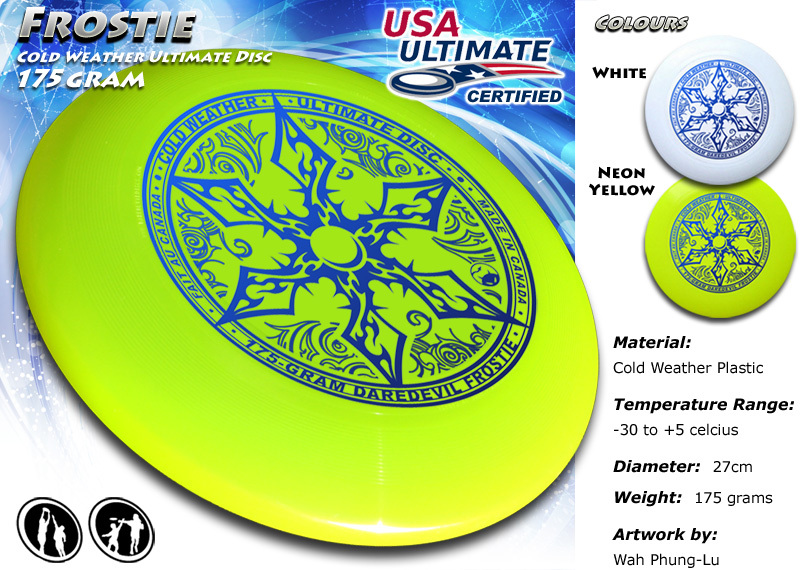 Tired of catching frozen, hard discs that sting your hands? Give the Daredevil Frostie a try. It’s made of a softer plastic that’s suitable for colder weather conditions eh? It is also excellent for youth ultimate. These ‘frosties’ can also be customized with your team, tournament or organizations logo. Check out our ‘Customize’ section for more details! Whether you are competing in a winter tournament or or playing fall ultimate. Pick up one of these discs in our ‘Shop’ section or from one of our retail partners in your area and have fun!